Looking for an activity for your kids to do this summer? Send them to Golf Camp! Why?..... Golf helps teach juniors about patience, honesty, mental focus and sportsmanship. Golf will also keep them active with physical activities, help them socialize with others and help create a love for the game. Golf is something that they will use for the rest of their lives in both work and play. Our golf camps teach each of these valuable skills to junior golfers in a fun structured environment. 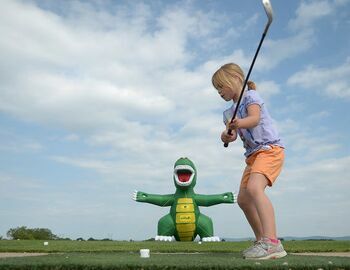 1757 Golf Club has 11 weeks of half day and full day Summer Golf Camp starting June 15th. Check out our complete Summer Camp schedule under the “Game Improvement” section of our website. Register here using the promotional code BLOG15 to receive $10 off of early registration pricing for a total savings of $50.